The break-up of Yugoslavia — as the imprisonment for life of Radovan Karadžić last week reminded us — was not the result of “ancient hatreds” mysteriously resurfacing, as was often claimed at the time. It was the result of the spread of pseudo-history. 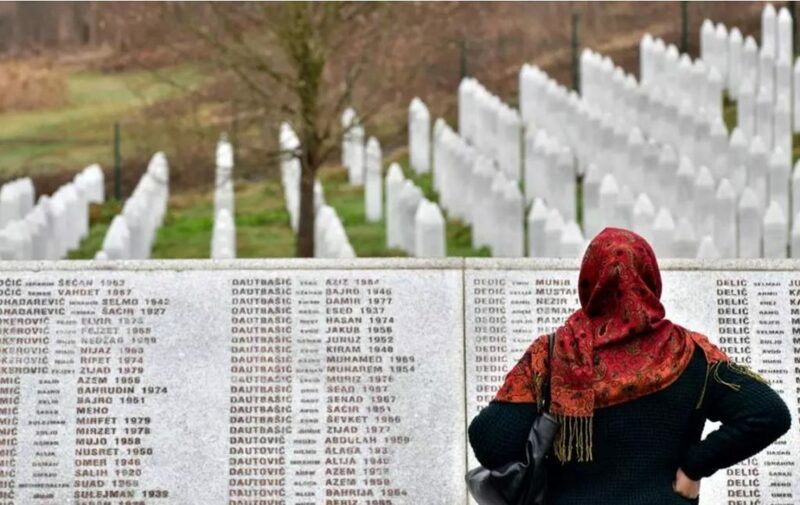 The Bosnian War was marked by a string of exemplary massacres — what the Russian anarchist Mikhail Bakunin called “propaganda of the deed.” In the spring of 1992, a group of Bosnian Serbs calling themselves the White Eagles unleashed hideous violence against the Muslims of Višegrad, who accounted for three-fifths of the population. Thousands of men, women and children were killed, many driven to the middle of the famous bridge over the Drina and shot, their bodies thrown in the river. This is the repulsive tradition to which the Christchurch killer, Brenton Tarrant, belongs. His 74-page manifesto, “The Great Replacement,” is a grab-bag of pseudo-history that casts Muslims in the western world as “invaders,” invoking past battles between Muslims and Christians. The difference is that Tarrant did not need a modern equivalent of Slobodan Milošević to feed him this drivel. Unlike in 1992, it is now possible for a mediocre underachiever to educate himself by wandering through the wormholes of the Internet, going wherever Google’s algorithms may lead — which is generally from Wikipedia to the most febrile conspiracy theories and then on to alt-right message boards such as 8chan. New technology (GoPro plus the Internet) also enabled Tarrant to live-stream his slaughter of innocents on Facebook, confident that it and YouTube would be unable to prevent the resulting snuff video from going viral. If the Bosnian Serbs had been able to do this kind of thing, they doubtless would have. There are a lot of sick people out there who want to see a “first-person shooter” game played with live ammunition and real, living, breathing, screaming, bleeding, dying victims. In Bosnia there was a cycle of violence as retaliation followed aggression. Can we now expect that to happen globally? I fear so. Within days of the Christchurch massacre, a Turkish-born man shot three people dead on a tram in Utrecht and a Senegalese-born driver tried to burn 51 children to death inside a school bus near Milan. The gunman has admitted a “terrorist intent” in the former case; the latter act was intended as retaliation for drownings in the Mediterranean blamed by the perpetrator on Italy’s tougher immigration policy. In the aftermath of the Christchurch horror, the bad-faith brigade have been busy trying to assign blame to anyone who has ever criticized Islamic extremism. This is precisely the kind of idiocy that Tarrant set out to encourage, as his semi-sarcastic manifesto makes clear. Let’s spell it out: Massacring people is always evil. It doesn’t matter who does it. They can be jihadists or white supremacists. They can be Maoists or Buddhists or Bosnian Serbs or members of the Provisional IRA. As it happens, Islamists currently lead white supremacists by a large margin when it comes to the victim count. According to the US National Consortium for the Study of Terrorism and Responses to Terrorism, or START, there were 10,900 terrorist attacks around the world in 2017, which killed more than 26,400 people. The top three perpetrators were Isis (7,120 deaths), the Taliban (4,925) and Al Shabaab (1,894). The average Muslim has more to fear from such fanatics than from white supremacists. As for “Islamophobia” — a cant expression designed to conflate criticism of Islam as an ideology with prejudice against Muslims — you will find much more in China than in the West. The Communist Party’s campaign to “deradicalize” the Uighurs of Xinjiang hads led to the internment of up to 1 million people in “vocational training centers.” As a result, the population of the capital, Urumqi, fell by 15 percent in 2017.